Women’s Hair Restoration – Exeter, Pa.
Tosi Hair Replacement Clinic provides hair loss treatment and hair restoration solutions for women who suffer from hair loss and thinning hair. Our Women’s Hair Loss solutions allow women suffering from hair loss or thinning hair to treat female hair loss as though it were a thing of the past. To look good is to feel good. 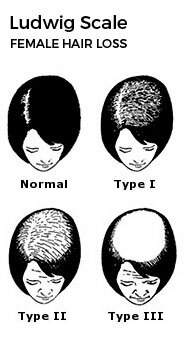 Female pattern baldness and thinning hair can be painfully embarrassing and emotionally devastating for most women. At Tosi Hair Replacement Clinic, we can create and design custom hair replacement solutions that duplicate your own natural growing hair. Our hair loss experts will work with you to determine the perfect hair loss solution for you and your type and degree of hair loss. At Tosi’s Hair Replacement Clinic, Inc., in Exeter, Pennsylvania, we have long realized that hair replacement solutions for women are not the same as those for men. 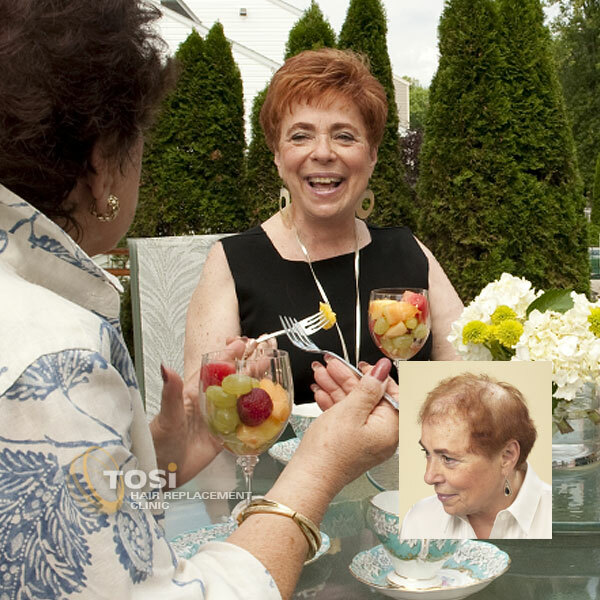 Tosi’s Hair Replacement Clinic, Inc. in Northeastern, Pennsylvania has designed exclusive methods that are custom suited to a woman’s unique lifestyle. You can enjoy trusted results from our replacement and restoration programs, including our complete line of Reallusions hair loss solutions from Transitions International, as well as our own custom 100% human hair wigs and integration systems. Our professional stylists and technicians have a reputation for being the best when it comes to women’s hair replacement solutions and hair additions. They will cut and style your new hair in on you and will always be conservative in their cutting. They will fully answer any questions or concerns you may have and make sure that your new hair is not just styled right, but that you are completely happy with the results and your experience. 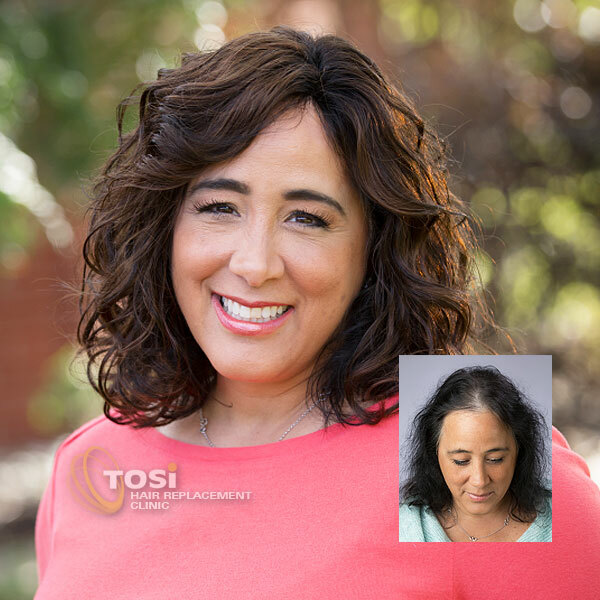 At Tosi Hair Replacement Clinic, we can create and design custom hair replacement solutions that duplicate your own natural growing hair. Our hair loss experts will work with you to determine the perfect hair loss solution for you and your type and degree of hair loss. 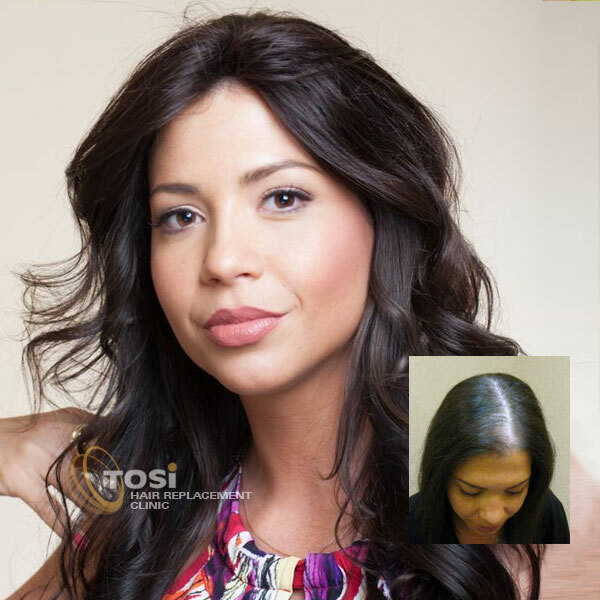 At Tosi’s our women’s hair replacement and hair integration systems are neither a wig nor a hair piece in the common sense of the term. Rather, they are a state-of-the-art hair replacement system specifically designed to meet the unique challenges of female hair loss in all it’s forms… artistically, technically, and emotionally. Created exclusively for the woman experiencing hair loss or thinning hair, a Tosi’s individually customized hair replacement guarantees a significant increase in hair density without surgery, scarring, or discomfort. This process can give you results you will see immediately. And best of all, you can have the same total coverage of your scalp as you had before you started experiencing thinning hair. No one will ever know that it’s not your own hair growing out of your own scalp — with any hairstyle you wish, including those that are combed back in such a way as to totally expose the front hairline. Tosi Hair Replacement Clinic’s staff is dedicated to delivering an unparalleled level of care that places an unwavering focus on your individual hair loss concerns, comfort, and privacy. We invite you to CONTACT US TODAY and discover how easy it is to restore your hair, and restore your life. Our team of caring hair restoration specialists can help you find the perfect hair loss solution options for your needs, regardless of the cause, whether Alopecia Areata, genetics, chemotherapy, Trichotillomania or other causes. At Tosi Hair Replacement Clinic, we combine the latest in custom hair replacement technology, design and artistry with a caring commitment to confidential personalized service. Contact us today and see just how much you have to gain. Schedule Your Easy, Private Consultation Today.